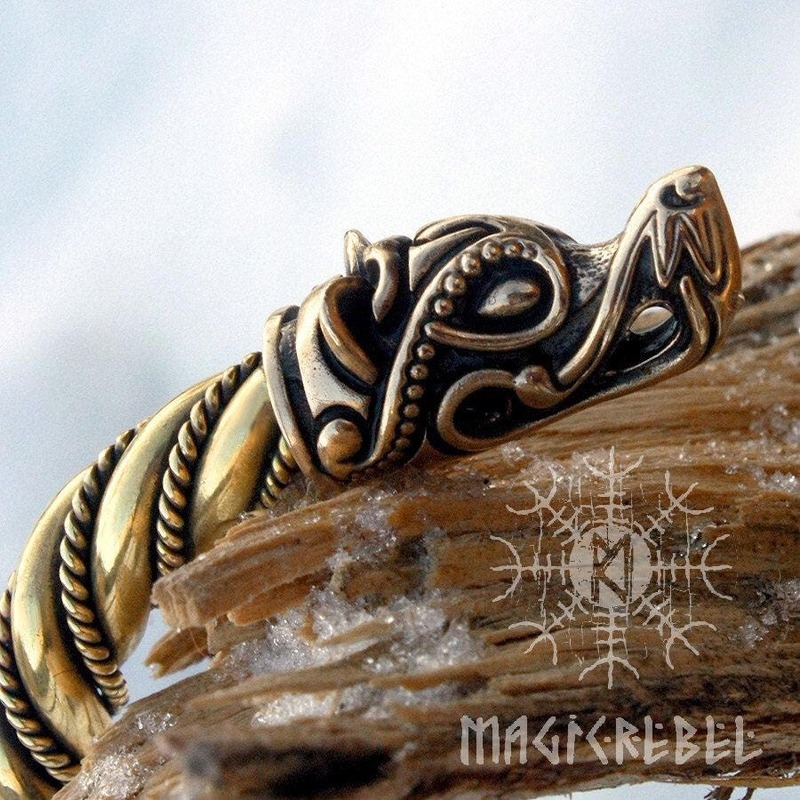 This is a solid bronze wolf head terminals handmade thick and heavy Viking torc neck ring. 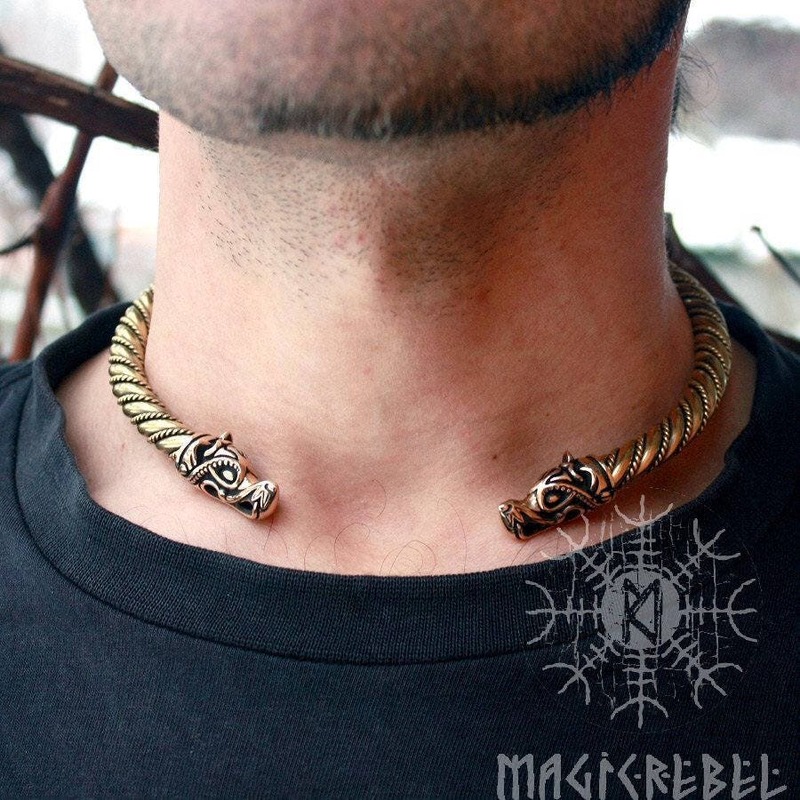 The neck ring is actual twisted (bent) double brass wire - not imitation. 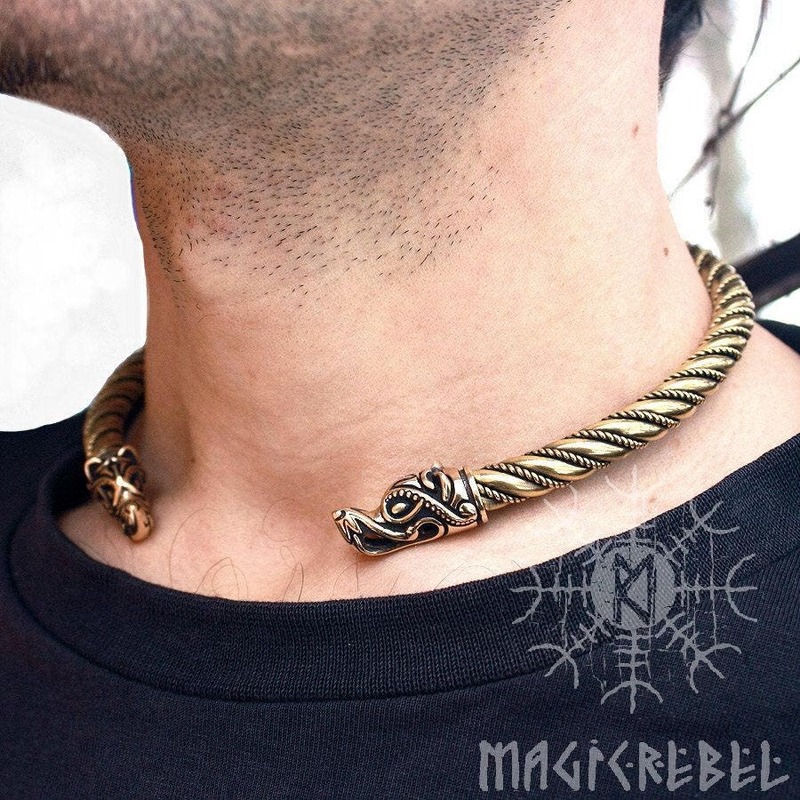 The torc neck ring is a replica of a similar torc found in the Isle of Gotland, Burg in Sweden. 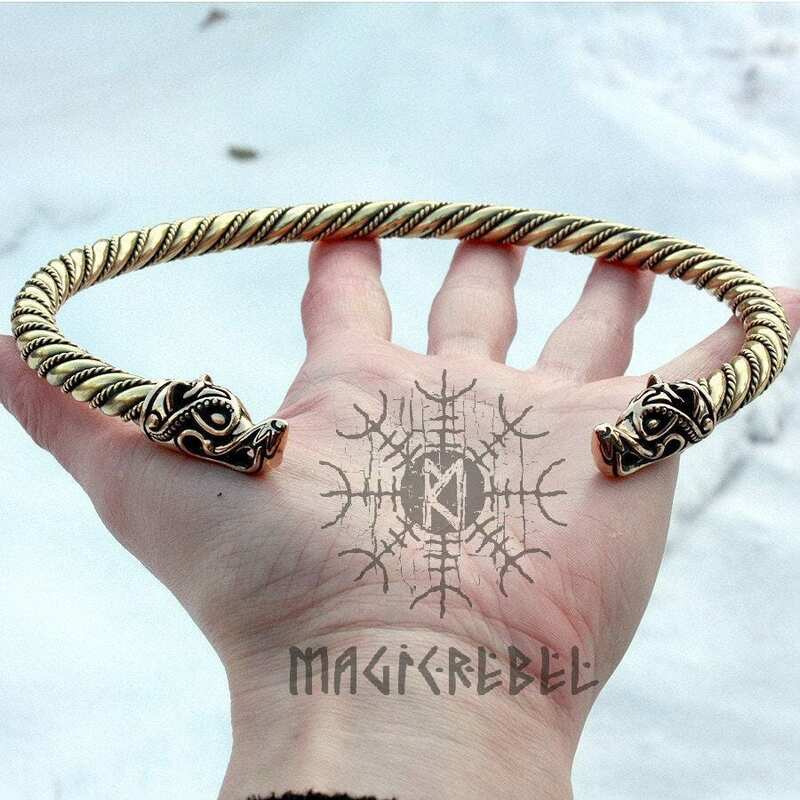 The wolf head terminals are original design of MagicRebel shop - please avoid cheap imitation replicas! 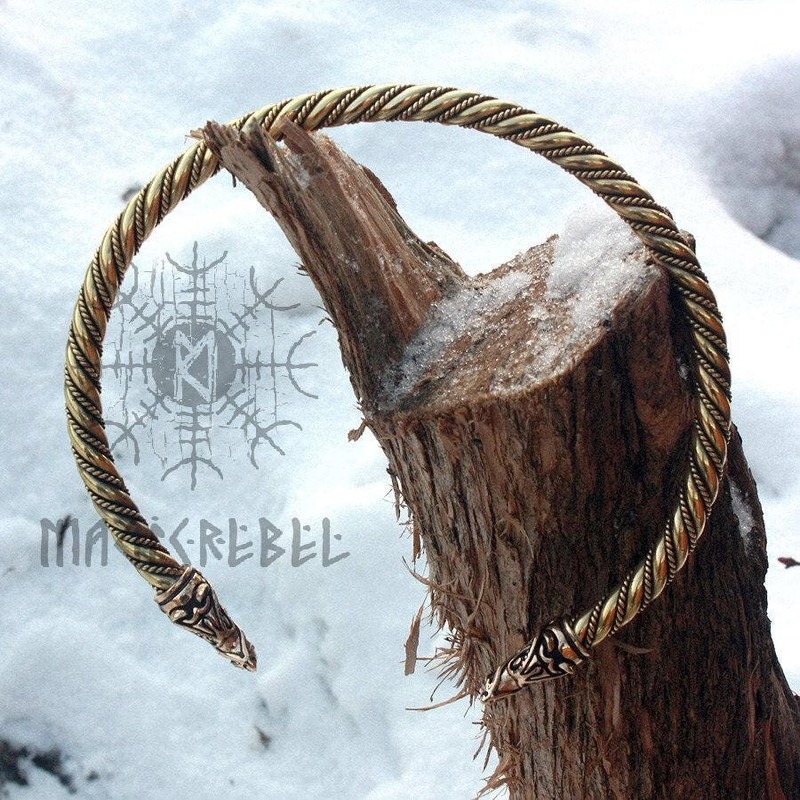 The necklace circumference measures about 39 cm or 15.5" inches and can be bent out to be larger. Necklace thickness is about 8 mm wide, weight is 160 grams.